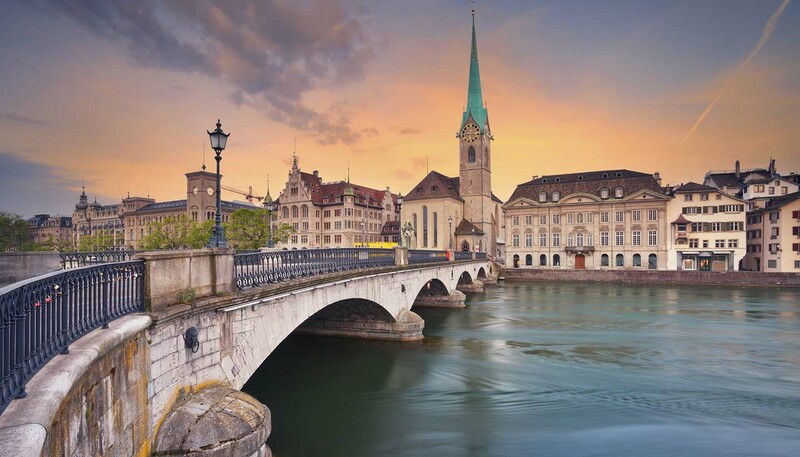 Zurich's residents enjoy a superb quality of life, and the general affluence means that retail therapy is something of an obsession. Shoppers will find all the latest luxury and international brands, as well as a good number of quirky boutiques and local specialities. The city isn't necessarily the cheapest shopping destination on the planet, but in terms of what you'll find on offer, it's genuinely world-class. It’s a pleasure to shop here too, not least because many of the shopping areas are pedestrianised, well-served by public transport and (as you’d expect in Switzerland) spotlessly clean. The swish Bahnhofstrasse, extending from the main rail station to Bürkliplatz, houses top luxury designer brands. There are some great little boutiques tucked away to the east too. Rennweg, Limmatquai and the pedestrian alleys of the Niederdorf in the Old Town are good starting points. The old silk-making district of Schipfe has a number of places selling artisan products. More alternative (and cheaper) shops can be found in the newly-fashionable districts of Sihl and Zurich West. On Saturdays from May to October, Bürkliplatz fills with stalls during the weekly flea market. Interesting antiques and hand-made artefacts are sold at Rosenhof in the Old Town, Thursdays and Saturdays from March to November. Don’t miss the permanent food market at Viaduktstrasse in Zurich West, where around 20 artisan food producers cluster under the railway arches daily. The city’s largest department store, Jelmoli (Seidengasse 1), stocks a vast range of men and women’s brands and has an extensive food hall, restaurants, terraced bar and tea room. Manor and Grieder are two other good all-rounders, while the main rail station’s shopping centre ShopVille Zürich with 180 stores is ideal for a last-minute dash before departure. Most shops are open Monday to Friday 0900 or 0930-1830 and Saturday 0830-1600 or 1700. Many, except for the large stores, close for lunch. Late night shopping on Thursday is until 2000. Chocolate is the obvious Swiss gift and Zurich has plenty of fine manufacturers including Confiserie Sprüngli on Paradeplatz. Souvenirs also include Swiss Army knives, watches, embroidery, linen and handmade clocks. VAT is charged at a rate of 8% and can be reclaimed for single items purchased for SFr300 or more, as long as the purchaser is resident outside Switzerland and the goods are exported within 30 days.